In this three-week institute for K-12 teachers, we will focus on the American Revolution and Civil War as case studies for reconsidering the American past. As two of the most significant episodes in our nation’s history, each of these conflicts marked a turning point for American women, but they remain predominantly male narratives. Women’s roles receive only token nods and are often portrayed as less significant than the contributions of their male counterparts. Yet the fundamental questions raised by war—about the authority and purpose of government, definitions and duties of citizenship, and conceptions of patriotism and morality—affected men and women alike. 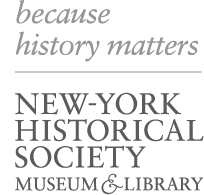 Our cohort of 30 teachers will spend the three weeks engaging in lively discussions with 18 of the nation’s most-renowned historians, examining one-of-a-kind primary sources (including those featured in our Women and the American Story curriculum), and exploring historic sites in New York City to bring fresh perspectives on American, military, and women’s history. Participants will receive a $2,700 stipend to help defray institute costs, a certificate of completion, and a wealth of primary and secondary resources, including books, curriculum materials, and a course pack.